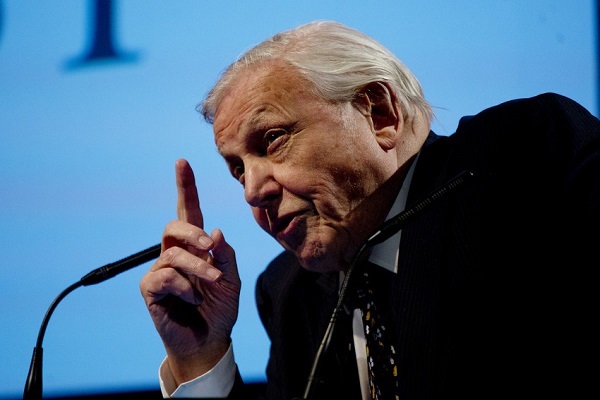 In a letter to the Chief Minister of Sabah, Datuk Seri Panglima Musa Haji Aman, WLT Patron Sir David Attenborough has warned against the repercussions for Bornean wildlife should plans for a bridge across the Lower Kinabatangan Wildlife Sanctuary (the ‘Sukau Bridge’) go ahead. The Sukau bridge project is a highway bridge proposed to go across the Kinabatangan River from Sukau and through Lot 3 of the Lower Kinabatangan Wildlife Sanctuary on the other side. The bridge, and the associated new road, has been promoted by the elected representative for the area (Datuk Saddi Abdul Rahman), who has secured RM232million of funding for the development. Saddi has described Sukau as a ‘dead-end village’ and argues that a connection to a bigger town like Lahad Datu is the key to stimulating its development and enabling faster access to the closest hospital. The plans are widely supported by a portion of the Sukau community who feel that they do not benefit from ecotourism and believe the development will bring much needed improvements to their livelihoods. The plan for the road would be to allow villagers from the South side of the Kinabatangan River to cross (without needing a boat) to access the Sukau clinic, Kota Kinabatangan Hospital and district administrative offices. The road itself would allow vehicle access between Sukau and Lahad Datu for industries (such as palm oil refineries) and tourists. The Sukau area is a hotspot for conflict between people and Bornean Elephants. The only protected forest corridor for elephants to pass through the Sukau area (without passing through human developments) is Lot 3 of the LKWS, although some elephants still prefer using the other side of the river, through the village itself and nearby plantations, resulting in daily conflicts. With the help of Steve Backshall and Helen Glover, WLT is currently raising funds to purchase important pieces of land along the bank of the Kinabatangan River to prevent further fragmentation of the Bornean Rainforest habitat.